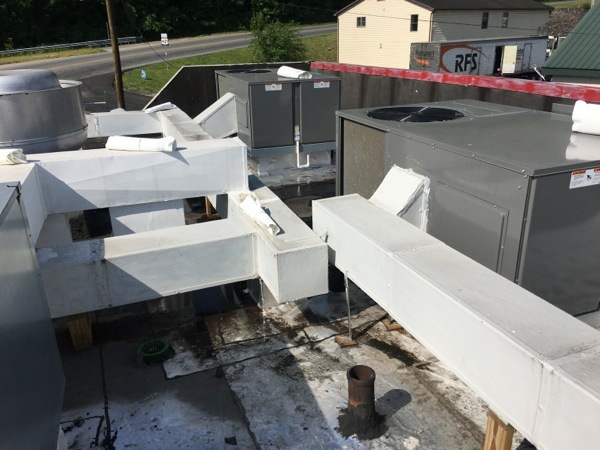 Recent upgrade to the store's HVAC systems was tough on the aging flat roof at the Milton Kentukcy Dairy Queen. Many new penetrations were made to accomodate the new duct work entering through the roof but along with new duct work came new flat roof leaks. 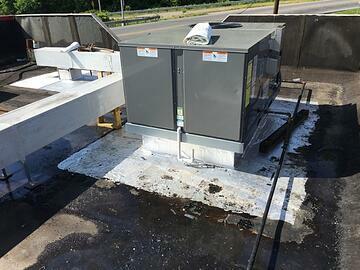 Dairy Queen's owner reached out to Exterior Pro Roofing to see what flat roof repair options might work. We proposed using a white PVC membrane and new curb flashings around the new duct work. 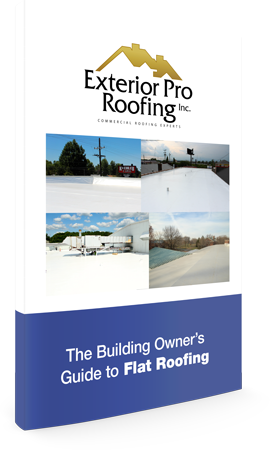 PVC membrane roofing is widely used in the restaurant industry for flat roofs because of its resistance to animal fats common found in oils and grease used to fry food like french fries.